UV coating – adding that touch of class to any printing! When it comes to packaging, the old adage “you never get a second chance to make a first impression” has real meaning! That’s because packaging provides the first impression any customer experiences when buying a product. Savvy companies recognize this fact and package their products using the most attractive printing possible in an effort to impress. Cosmetic companies are the perfect example of an industry that realizes the importance of packaging. You’ll never see their expensive perfumes packaged in plain cardboard! But, even the most mundane products benefit from the inherent advantages of vibrantly-printed packaging. One cost-effective way to achieve this is through the application of UV coating in the printing process. What is UV Coating and what is it used for? UV coating is applied to the paper surface and cured using ultraviolet radiation. Offline, its applied using silkscreen. Inline, UV varnish is applied as a liquid on press, and is usually used to highlight specific areas of a page such as the images, logo or slogan. UV coating is versatile in its application and can be used for all types of paper products. However, it works best for thicker and heavier weights of paper. Finishes include gloss, matte, pearlescent, and orange peel. It’s striking and bold – it provides a visually-enhancing appeal and adds a perception of value to the packaging or product. It provides a scruff resistant coating – it resists the abrasion commonly found in standard aqueous coating and varnishes. Fast drying – printing lead time is reduced, leading to a more efficient process overall. Chemical Burning – depending on the PMS color used, UV coating can be susceptible to chemical burning. Compromised Quality and Appearance – if the process of printing is not set-up properly, the output of the print may come out a bit defective. Midwest Graphics can handle any UV coating job you might have! Midwest Graphics has over a century of experience in the printing business. We offer UV coating on runs up to 60 inches wide. Call our in-house design team for help in designing a premium UV coated package guaranteed to make a noticeable first impression! 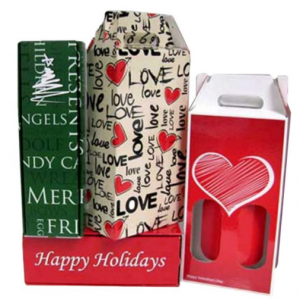 How to make your customers experience a “love affair” with your packaging! We’ve said it before, but it bears repeating…the packaging of a product plays a critical role in the customer being attracted to the product! Various studies have shown that packaging accounts for about 70% of initial first impressions. And it’s in those first few seconds that the decision is made to either pull the product from the shelf or pass it by and move on down the aisle. Thi nk “out of the box” when designing your package! While square and rectangle-shaped boxes are the norm, maybe YOUR product can be packaged differently? For example, Nike recently launched their new line of Nike Air shoes, showcasing the shoe simply in a plastic bag of air. Another option is to stay with the regular square or rectangular boxing but opt for unique printing using colors to attract your audience. Think about the “sensory experience” you want your customer to have. Design your packaging with the customer in mind. What sensory experience within the brain do you want your customer to experience while unpacking your product? (for example, use more green for natural and organic products, white and black to create a minimalist and mysterious effect). Special die cut, foil stamping, embossing and UV coating all add a more luxurious feel to the product without causing any extra effort and cost. Surprise customers with a promotional insert such as a personalized thank you note to create a feeling of goodwill. Consider package dividers to help lay out your product neatly and avoid damage. Use your packaging to provide all necessary product details and support/contact information. Exceptional customer service should be the first and foremost desire of any business. By ensuring that the customer is provided clear instructions in the packaging about the product, you are setting them up for an exciting and positive experience. You are making it easier for them to love the packaging and the product even more. At Midwest Graphics, we have lots of ideas to help you design the perfect packaging for your product. Whether it’s unique die cutting, UV coating, or digital printing with a splash of bold colors, our in-house design team is ready to assist you. Having been in business for almost 30 years, Midwest Graphics has seen the growth in popularity of digital printing. Before the advent of computers, the only printing done on a large scale was called offset printing. 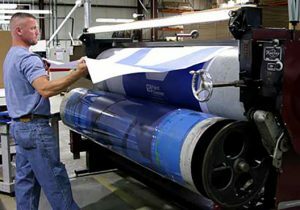 Still used extensively, offset printing involves a plate on which the material to be printed is engraved, which is transferred with ink onto a rubber blanket, then to the material on which it is printed. Digital printing, on the other hand, skips the use of plates entirely, as the printing is done directly onto the material. While offset printing is known to produce higher quality than digital printing, it’s higher initial set-up costs require really large print runs for it to be the most cost-effective option. Since digital printing bypasses the need for the plates, chemicals and extra materials associated with offset printing, it is a more environmentally-friendly way to print. You are printing directly onto the material. Because there are no costs associated with creating plates, digital printing can save you money. As stated, this is especially true for small, multiple batch printing. However, with large print runs, offset printing is usually a better option for a lower overall cost per unit. Offset printing involves printing the plate’s content onto the printing material. As such, the content cannot be changed without changing the plates. Digital printing allows for customization of each print unit without too much hassle. For example, a name or word can be changed for each printing to personalize that piece. Digital printing allows for easy “tweaking” of colors and their properties to get the exact tone desired. Midwest Graphics uses the best equipment in the industry for digital printing. This includes three full 4×8 Flatbed printers, two digital control cut tables, roll lamination – both PSA and Thermal, Liquid UV Coating up to 60 inches wide. In short, our equipment allows us to handle nearly any type of project from start to finish. Give us a call to discuss your next digital printing job. When it comes to packaging a product, the design is critical. After all, unless your package stands out with a unique color, size, or copy, it is going to struggle for recognition sitting on a crowded shelf along-side all those competitive products. The smart businesses know that a great package design can help in selling the product. At Midwest Graphics, our clients appreciate the value our in-house design team brings to the table in assisting them in creating a great package design. Recently, a national manufacturer of kitchen and bathroom products visited our plant. They viewed our in-house design team (along with other factors like quick turn around and competitive costs) as a real asset in their decision to use our packaging services. Knowing your customer is key! Who is your customer? All packaging design is geared to first understanding who you are marketing to. Focus on the benefits, not the features. Customers want to know “what’s in it for me?” when making their buying decision. If you think one design is good, perhaps another idea is better. Set two or more prototypes side-by-side to compare. If the product is priced inexpensive, don’t needlessly escalate costs with an over-priced packaging. Identify your product’s unique selling proposition and find a way to communicate that message in your packaging. If you have multiple products, maintain a consistent brand image in the packaging so all your products create similar visual affect. Do you want your customer to be able to touch your product? If so, either displaying one of the products outside of the package or a die cut window may be appropriate. 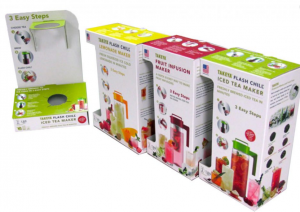 The design team at Midwest Graphics is ready to help you design packaging that will motivate customers to buy. From conceptualization to proofing, they can work with you every step of the way in development of all packaging materials for your company. Creative Packaging Sells: Don’t be afraid to stand out! At Midwest Graphics, we think both sayings apply to any business engaged in selling products through retailers. While the name of the product and the copy are important, the design of the package is crucial to its success. Avoid the mundane in your product packaging! Businesses often resort to standard-shaped packaging for their products. There are two reasons for this. First, it affords a lower die cost and associated design time. Secondly, businesses think that by sticking with a standard design, the product packaging can be run along with other product runs to achieve greater economies of scale. But these views are shortsighted if you consider consumer buying habits. Think about your own habits when shopping. When you walk around a store, it’s the odd-shaped packages that stand out and get your attention. Packaging should make you product POP! Retail shelves are crowded with product. So, make yours stand out from the crowd through unique packaging. If your product is uniquely packaged by size and color it will stand out. The buyer is more likely to pick it up and buy it. Is it time to get another perspective on your packaging? It’s hard for some businesses to know whether their packaging is good or not. They may have been packaging a product the same way for years. They may be too close to the product to even know if their packaging is stale or not. That’s where Midwest Graphics can help. Our in-house design team is experienced in working with clients to develop eye-catching artistic and structural package designs geared to make products stand out from the pack. And, we can take the guesswork out of the process by providing 3D PDF modeling of your carton to give you an idea of how the design will look as an individual unit and in bulk shipments. Yes, “first impressions ARE everything” when it comes to packaging. 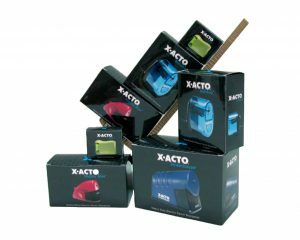 If you think your packaging approach needs sprucing up, give us a call. Our design team will go to work on creating new packaging focused on making your product get the recognition it deserves! The Wizardry of POP displays – The right one can increase sales 60% or more! If you’re a manufacturer of products sold through retail channels, you know the challenges you face getting your product noticed over the competition. One only has to survey the retail landscape to realize what a daunting task it can be! Seth Godin, best-selling author and marketing guru summed it up this way – Marketing is a contest for people’s attention. So, what’s a good way to get your product noticed? Midwest Graphics has the perfect answer – an attractive POP display. A well-fashioned, strategically-placed POP display can rocket the sales of even the most mundane of products. DUMPS- proving SIZE DOES MATTER! Large floor displays, often called dumps, have been shown to increase sales by as much as 64-fold over the same item sold on the shelf. But, the downside is that these large displays may come with a large set-up placement fee and the store may ask for an additional “discount” in pricing. Also, stores usually will only allow such displays to stay up for a short time period. Posters can pull in customers to buy, particularly if the product is something they already have knowledge of. However, many retailers will throw they away and not use them. Shelf talkers are signs that appear alongside a given item on the shelf. They are inexpensive and can grab a consumer’s attention. COUNTER DISPLAYS- they can be the sweet-spot in POP displays for smaller companies! Counter displays have advantages over large floor displays. Retailers are more likely to set them up and they will keep them up longer. Design your counter display as a pre-pack to be its own shipper. The product itself is inside the display, and the retailer only has to place the display on the shelf with the product already showing inside. At Midwest Graphics, our design team will design whatever POP display you desire. Working in-house, we can create a prototype, production mock-up, and then produce, assemble, pack and drop-ship your displays. With full four-color printing directly to your corrugated material, your POP will be sturdy, colorful and sure to stand out from the pack. The four critical points to consider when designing your POP displays! At Midwest Graphics, our in-house graphics design team is experienced in creating eye-catching display and point of purchase (POP) products. Working closely with the customer, we are committed to designing a display that is so attractive it instantly becomes a revenue machine, silently working to move product off the shelf and into the customer’s shopping cart as they head to the check out. We know how effective a custom point-of-purchase display and signage can be in influencing buyer decisions and increase sales. That’s why we handle every step along the way. From your first call to our design team, we’ll work quickly to create the perfect display you want, handling everything from prototypes and mock-ups to production, assembly, packing and drop-shipping the displays for you. Like any good Realtor knows, location is KING. End-of-aisle, floor stands, cardboard sidekick and power wing displays are effective in making the display stand out and get noticed. Bright colors are needed to contrast against the surroundings. First impressions are everything, as consumers make 90% of their purchasing decisions based on visual appearance alone! Grab the consumer with a catchy offer, special event or holiday promotion. A relevant message makes the buyer feel the offer is personal and attractive. Studies show any display only has .9 seconds to convince the consumer to look at it. The magnet drawing them in will be smart copy that is direct, clear and persuasive enough to create a quick understanding by the buyer. At Midwest Graphics, we know how to make fantastic POP displays! With our ability to print in full four-color directly to your corrugated material, your next display will be sturdy, colorful and sure to stand out from the pack. If you need help creating a plan for your custom point-of-purchase displays, give us a call to put our graphics design wizards to work for you! At Midwest Graphics, we pride ourselves in being able to print directly to various substrates. While corrugated is the most commonly requested substrate, many other options are available and used by our customers. This could include substrates like PVC, Transilwrap, Foam Corr, Tile, Magnetic, Mylar/Acetate and Acrylic among others. While corrugated is the most popularly-used substrate, there is a tendency for people to confuse corrugated with cardboard. Many people will use the two terms interchangeably, thinking they are referring to the same thing. That’s simply not true. So, what is the difference between corrugated and cardboard? While it’s common for people to refer to corrugated and cardboard interchangeably as “paper packing material”, any professional in the packing industry will tell you there are distinct differences. Cardboard typically refers to a thick paper stock or heavy paper-pulp This could apply to the material used to make greeting cards or playing cards, for example. It could also apply to the thin cardboard that is used to manufacture cereal boxes. The secret to corrugated strength lies in its fluted center. Corrugated is made up of three layers of paper that includes an inside liner, an outside liner, and fluting with a ruffled shape, which runs in between the two. This substantially increases the durability, alleviating the worry that your products will be damaged during shipping. Any manufacturer desires to minimize the risk of damage when shipping their product. Corrugated is always the right choice over cardboard when seeking to reduce the possibility of damage during shipping. Corrugated sheets formed into boxes are ideal because they are very strong and durable, and are easily recycled. At Midwest Graphics, we can print onto corrugated flat substrate up to 1 3/8” thick. Give us a call for your next printing need. Manufacturers know the value of a great Point of Purchase (POP) display. The savvy ones know it’s one of the best investments of their marketing dollars that they can make. These displays allow them to dramatically increase the impact of their product at the moment it counts most—at purchase time. “But, what is the cost for a great POP,” you might ask? The usage will affect the price. Is the display temporary and used for only days or a few weeks? Or, is it meant to last for months? The most common displays are made of corrugate. 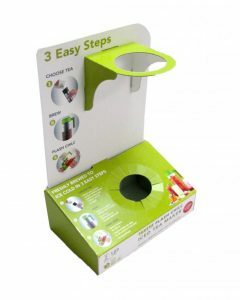 Commonly found at grocery stores, they include free standing floor, shelf and counter displays. They are also popular at big box stores at the end of the aisles. Digital printing capabilities keeps costs down. With Midwest Graphics digital printers, large sheets of corrugate can be printed and cut without the need for printing plates and mechanical die cut plates. In addition, full color can be used to create exciting, eye-catching graphics. But the biggest cost savings factors are that small quantities can be printed in a very short time. Once the die line and artwork is approved, displays can be printed in as few as 7 business days. Pricing is based on the square foot it takes to produce your display and pass through the press. So, size of the display ultimately determines price. Also, customized POP sizing uniquely designed to fit a product could affect pricing. As you might expect, long term displays need to be constructed out of material that can last. Usually they are made from plastics, acrylic and even metals. With these type of displays and the printing process needed for each, the cost will rise dramatically. These displays are considered permanent and meant to last up to 3 years. If you are thinking about a POP display for your product, give us a call. Midwest Graphics has in-house designers ready to help you create you next POP display. Using our four-color printing directly onto your corrugated material, we guarantee it to be sturdy, colorful and sure to stand out from the pack. 6 Reasons Digital Printing Makes $ense for Your Printing Needs! To the casual observer, watching a printing run can be exhilarating. It’s both wondrous and complex, seeing the colorful printed pieces fly off the end of the press. But, what kind of printing is right for you? As a business owner, it can be tricky knowing which printing method to choose. While offset printing using the traditional etched metal plates to apply ink onto a sheet of paper is still commonly used, more and more printing is being done digitally. It’s a printing technology that links printing to a computer. Midwest Graphics has the ability to print directly to multiple substrates (surfaces). And, the substrates can be of varying levels of thickness. The print quality is top-notch! At Midwest Graphics, we use the best quality digital printers in the flatbed market. This ensures high-end prints that are comparable to litho printing. Because a computer is directing the process, digital printing saves a lot of time compared to conventional printing. This is primarily because there is no need to constantly change plates, as the technology does not use any plates. Digital printing enables a business to get their printing done faster! At Midwest Graphics, our digital printing offers any business flexibility in the size of the run. Whether it’s a printing run of hundreds or thousands, no job is too big or too small. With no plate costs and no minimum print quantities, costs and turnaround times are reduced. Digital printing is environmentally friendly! Digital printing is more eco-friendly than conventional printing as it produces a lower amount of waste cartridges and creates less air pollution. It leaves behind a smaller carbon footprint. If you are a business looking for a printer with the latest technology in digital printing, give us a call. Midwest Graphics uses the best equipment in the industry to guarantee outstanding results every time.